University of West Attica is organizing two Workshops in the context of the project AGROLABS – “Agrofood Innovation Clusters”, under the Interreg BALKAN MED 2014-2020 Transnational Cooperation Program. ü on the 13th of February 2019, 9:00 a.m, at the Cultural Center of Municipality of Naoussa. The Workshops will focus on specific agro-food issues and the Value Chain Study findings in Imathia. 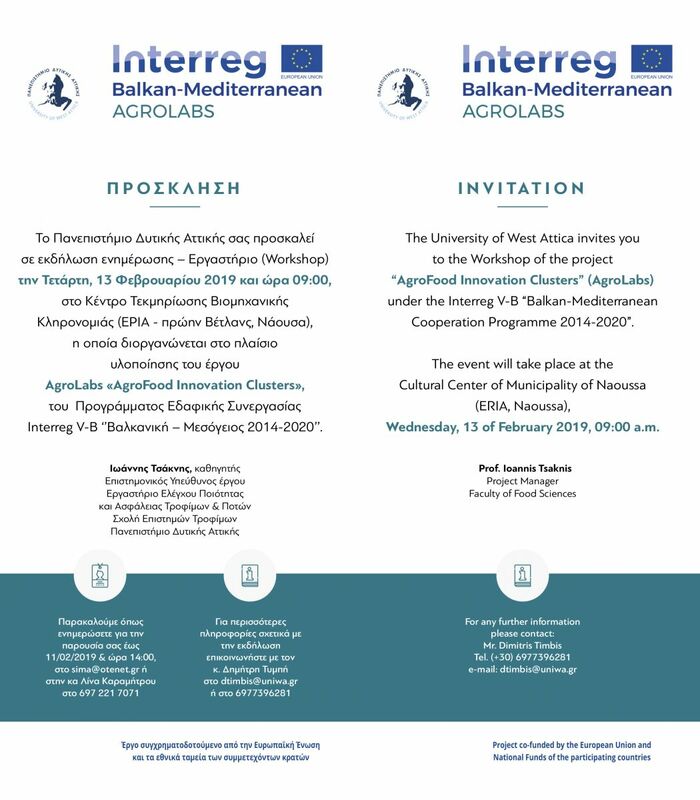 During the Workshops, the organizers will also present the implementation of the upcoming AgroLabs Cluster in Imathia.